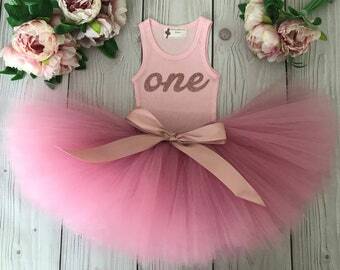 Please insert “Photo 1" if want tutu and top design as shown in photo 1. 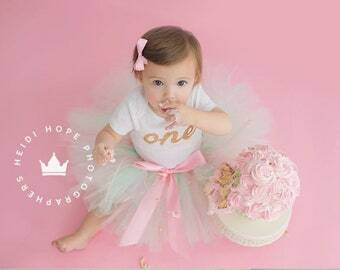 Or provide the following info: Baby girls name OR Age in Alpha or numeric form. 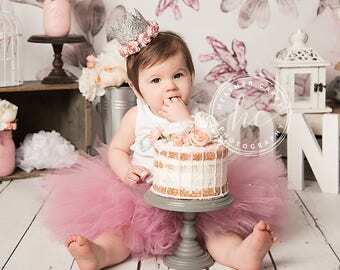 For custom theme, please contact me first to discuss. 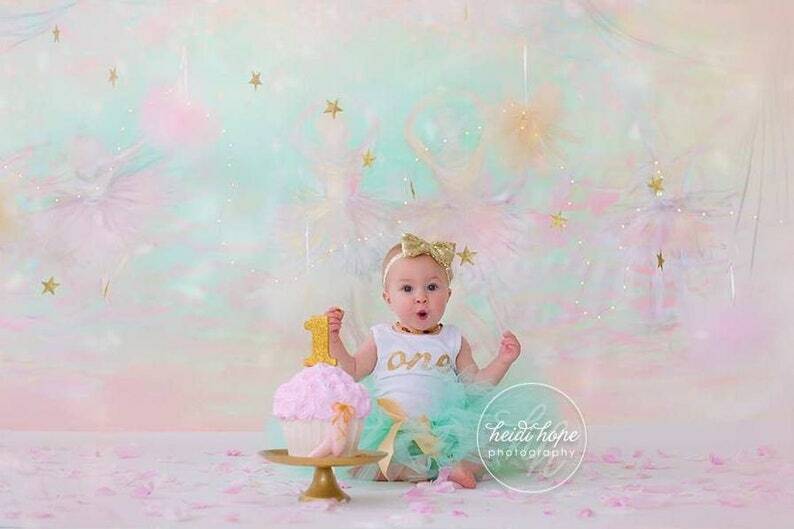 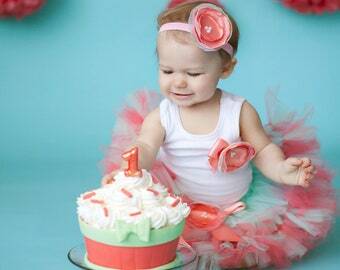 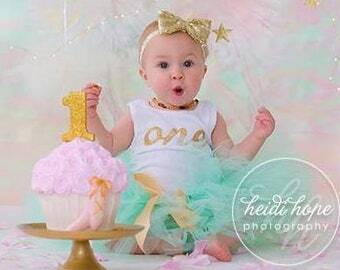 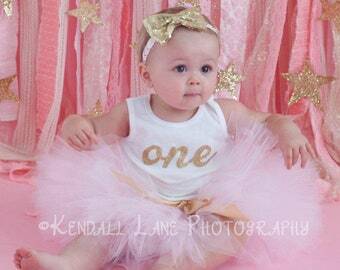 This mint and gold 1st birthday girl outfit is a best seller and was featured in a Heidi Hope Cake Smash Workshop. 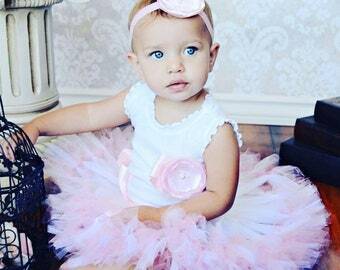 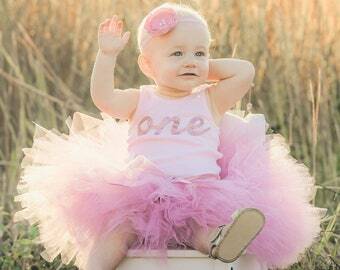 The tutu dress colors really pop for photo shoots and it is extremely adorable on baby girls with just the perfect amount of fluff. 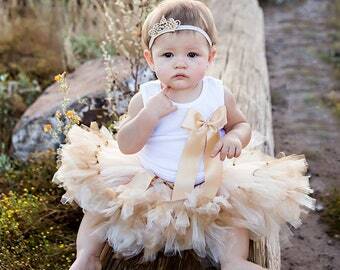 Headband can also be purchased in drop down menu.